Death is inevitable, but premature death is NOT. 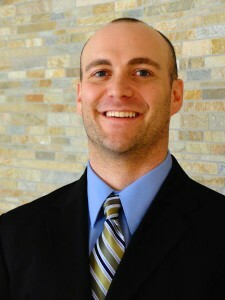 Preventing premature early death is what today's topic is on THE #Physiology Show. Lifestyle and daily choices determine how much you are preventing a premature death. One MAJOR practice you CAN be doing is eating an apple daily. That reduces you having a heart attack by 40 percent. An apple a day keeps the doctor away doesn't even come close to the benefits that apple provides. The other life changing and preventing act is in the video below. In this episode I talk about how to avoid these risk factors. The biggest recommendation is to get MOVING. Start at WOD #1 and let me into your ecosystem. If you enjoyed this post about Preventing Premature Early Death, retweet and comment below please. On Today's Episode of THE #Physiology Show I talk about the Time Needed To Burn One Pound Of Body Fat. How long does it REALLY take to to burn off one pound of body fat? Well if one pound of fat equals thirty five hundred calories there are a few ways to burn it. The question is how do YOU conceptualize the “work” it takes to do it. If you complete one mile, then you have burned one hundred calories. Notice I said complete not walked or ran. The reason I didn't say walk or run is because that would take you to a place of time. Our minds can conceptualize a mile. The difference is how FAST or SLOW you COMPLETE that mile. Otherwise it's all relative to that one hundred calories. The other way to understand AND execute the caloric burn is HIIT (High Intensity Interval Training). That's pretty much ALL I do for workouts. The WODs I create are a bunch of bodyweight HIITs. Don't be afraid of the words. I give modifications for EVERY exercise. In today's episode you will see how you can burn up to 1600 calories by only doing 45 minutes of movement per week. So enjoy THE Show and please share it with someone who you think would like to see it. If you enjoyed this post about Time Needed To Burn One Pound, retweet and comment below please. On this episode I eat ice cream, I talk about maintenance and posture, AND I have a TON of energy. Ice cream maintenance and posture are pretty random, but it ALL comes together in the end ;). Too many people are unhappy with maintaining their current weight and or lifestyle. We simply aren't happy with maintaining. Why? If I were to stay right where I am for the rest of my life I would be VERY happy because at age 90 and still being ABLE to crank out 60 push-ups would be AWESOME!! Find out what you can do to prevent you and your children from having hunch backs. Watch Episode 8 and feel free to share it with someone who you think would need to hear it. Have fun and Thank You for you attention and time. If you enjoyed this post about Ice Cream Maintenance And Posture, retweet and comment below please. On today's episode of THE #Physiology Show I talk about summer time calorie burn, full work week and I eat nuts! Worked a FULL week at my new job! It's always fun at first and it CAN be fun forever. It simply is a CHOICE to make each and every day. People simply show up to work because they THINK they have to. You can also find a new place to go aka find a job. But most people don't because it's easier to complain about their situation rather then changing it. Also, too many people THINK they burn more calories and are more active in the summer time. When in all reality IF you are MORE active, then you are only breaking even when it comes to calories burned. Find out what to do to get then exact blue print on about “what it takes” during the summer to keep your summer time calorie burn in a caloric deficit so you can lose the weight and KEEP it off! Feel free to share this post with someone who you think would need to hear it. If you enjoyed this post about Summer Time Calorie Burn, retweet and comment below please. 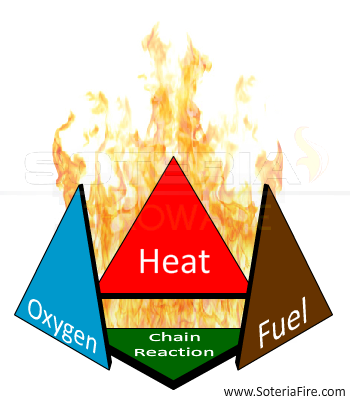 Those three things form what firefighters call the Fire Tetrahedron. In today's show that's what I explain. The physiology OF what our body needs to keep our metabolism running HOT like a FIRE. There are even ways to keep burning calories/excess energy by creating an afterburn. That was covered in an earlier show. Click here for that. But in all reality, with the exception of water, our bodies metabolism reacts just like a fire. Take one piece of the tetrahedron away and the fire goes out! Watch the video to understand your bodies metabolism FOR GOOD! If you enjoyed this post about Fire Tetrahedron And Metabolism, retweet and comment below please.